Beginning at 9:30 a.m. on Oct 26. Public is invited. 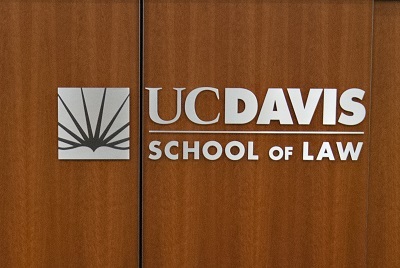 SACRAMENTO—Administrative Presiding Justice Vance W. Raye announced that as part of its award-winning community outreach program, the Court of Appeal, Third Appellate District, will hear oral argument at UC Davis School of Law in Yolo County beginning at 9:30 a.m. on Wednesday, October 26, 2016. Since 2000, the Third Appellate District has held oral argument sessions in 26 high schools and one law school in 20 counties of its district. 9:30 - 10:00 a.m.: Edgar Ward Jones v. Whiskey Creek Restaurants, Inc., C075030. Appeal is taken from judgment entered for defendant after the trial court granted defendant's summary judgment motion. 10:00 - 10:30 a.m.: The People of the State of California v. The Superior Court of El Dorado County; South Lake Tahoe Police Officers Association et al., C081603. The People seek a petition for writ of mandate compelling the El Dorado Superior Court to vacate its orders granting motions to quash subpoenas and dismissing the criminal grand jury. 10:30 - 11:30 a.m.: Discussion/question-and-answer session with students. As part of this educational experience, justices of the Third Appellate District will discuss their career paths with the students and conduct a question-and-answer period immediately following oral argument. The justices are not permitted to answer questions about the cases.